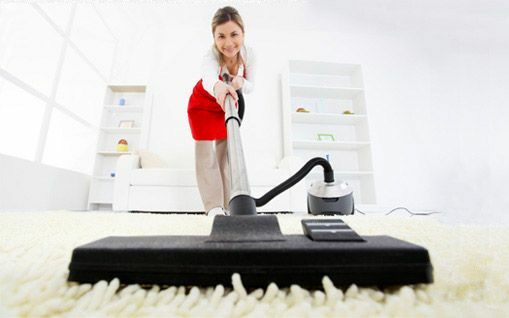 With all of the house cleaning services available in Adelaide, how can anyone choose the right company with confidence? Enter TrustedCleaner: Unlike other directories, TrustedCleaner provides more than just basic business-card information, and takes time and effort to thoroughly research locally-based domestic cleaners. Only the very best make it to TrustedCleaner’s posted shortlist, with the cream of the crop rising up to earn the Fully-Verified stamp of approval. We currently have five house cleaners in Adelaide who have been short-listed, but no fully vetted and verified companies. If you feel a local service provider is worthy of full verification, please contact us. Started in 1997, Home Service Professionals has been cleaning homes and apartments for nearly 20 years. A general cleaning service typically runs between $60 to $130 and regular scheduling is available on a fortnightly basis. Free quotes available online and all employees have police certification. Following the clients written instructions helps Select Cleaning ensure they don’t miss a thing when cleaning any house or apartment. As if that wasn’t enough, Select Clean follows up each job with a call to double-check customer satisfaction. Don’t like the results after Select Clean leaves? Let them know and they’ll come back to rectify it. If they can’t, the next clean is 100% free. No-obligation price quotes are available online or over the phone. Bizzi Beez uses a 100% satisfaction guarantee in conjunction with full-liability coverage and operator background checks to put the concerns of customers at rest. Every cleaning job performed by Bizzi Beez is custom rather than cookie-cutter: Once the client specifies what they want cleaned, Bizzi Beez develops a tailor-made cleaning map to fully-cover the required space. Posting a detailed price map on their website, Maid With Care seeks to skip the confusion and uncertainty commonly associated with over the phone price quotes. All cleaning includes sweeping, vacuuming and mopping as well as counter, table, sink, toilet, shower, bathtub, and appliance cleaning. Aside from basic domestic cleaning, Optimal Cleaning can also provide comprehensive carpet, tile, window and floor cleaning (including mould removal) for home owners in need of a one-stop shop. With no minimum charge, Optimal customers only pay for the exact details of their hire. Free project inquiries and complete service area details can be obtained over the phone.